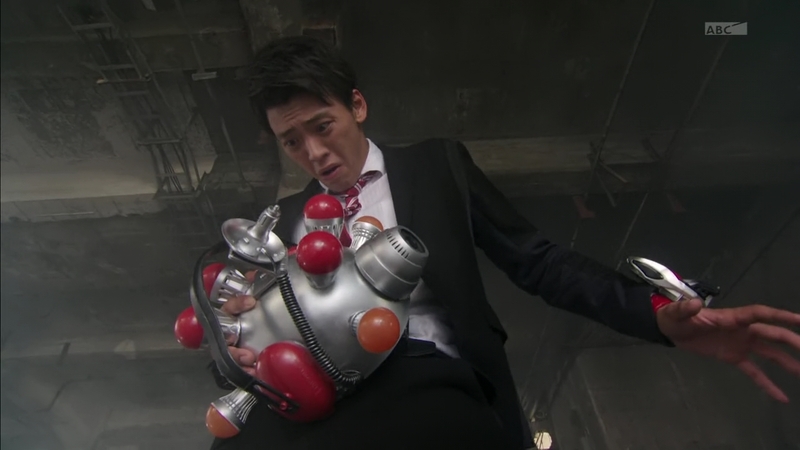 Recap: Kamen Rider Drive, Episode 7 – How Was That Decisive Moment Captured? A mysterious photographer is whistling “London Bridge is Falling Down” as he takes a picture of a building which suddenly collapses. This is the third collapse this week, Kiriko reports to the SID. Kyu adds that all the collapses happened early in the morning, so there were no people in the buildings. And all of them were under construction by the same Kaishima City Construction company. Rinna thinks whoever’s behind this has a grudge against the company. But Otta says this is not under the SID’s jurisdiction since there were no gravity shift particles found at the sites. Chief Jun is more concerned with his bad fortune on money today. Rinna asks where Shinnosuke is and Kiriko says he’s at the hospital. Ah, he’s visiting his former partner and best friend Hayase. This is a special time for Shinnosuke. 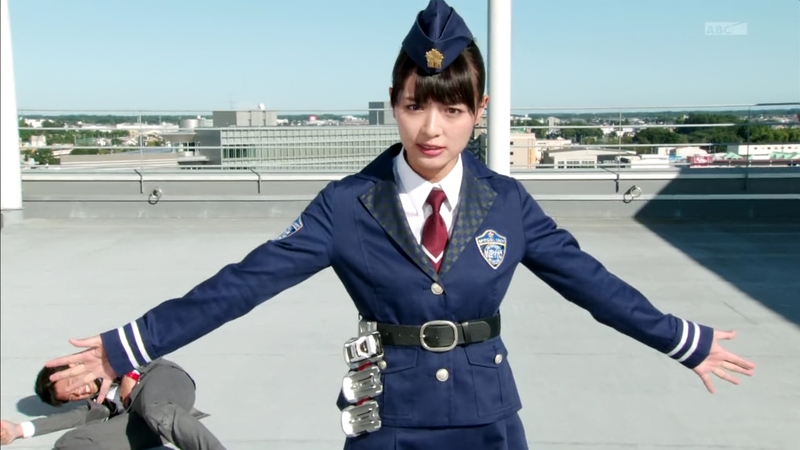 Kiriko says she’s off to investigate and Otta follows. Rinna and Kyu notice that Kiriko seemed a little upset. But Chief Jun is more upset that they’re budget has been cut. Shinnosuke finishes his visit with Hayase, but another mysterious photographer is following him and taking pictures. Shinnosuke senses him and catches him. The guy shows Shinnosuke his card. He is Takasugi Kenta of the Toto Times newspaper. He explains that he wanted to get some scoop on the Kamen Rider by following one of the members of the SID. Shinnosuke tells Kenta to stay out of their business. But as he leaves, Shinnosuke gets a call about another building collapse. Kenta hears and follows. Shinnosuke hurries over. Kiriko says there are no gravity shift particles here either. Shinnosuke assumes that means this really isn’t related to the Roidmudes, but Kiriko tells him not to jump to conclusions so easily. He feels she is angry. Not really, she says. They see Kenta is there again and Shinnosuke is going to get rid of him for good this time, but suddenly an explosion! Otta orders everyone to evacuate. Shinnosuke sees Kenta helping up an injured worker. Another explosion and just as suddenly, the Heaviness. 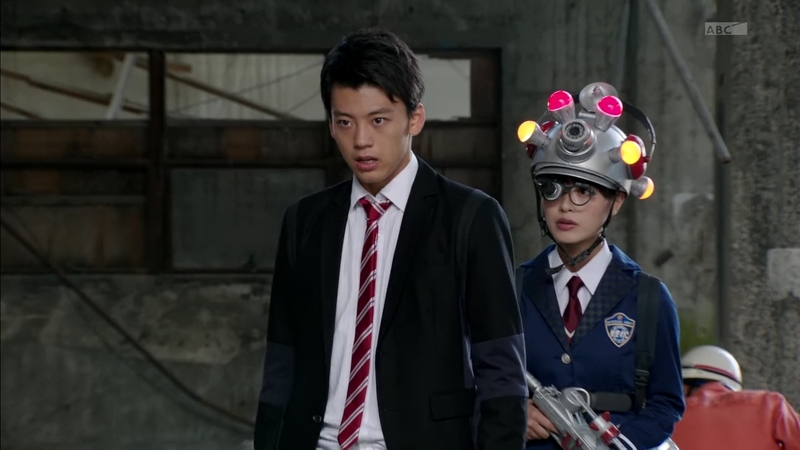 Tridoron and Belt-san arrive and Shinnosuke quickly grabs… the gravity shift helmet. Oops. A Shift Car brings Belt-San to him and he henshins straight to Type Wild to fight off the just arrived Roidmude. 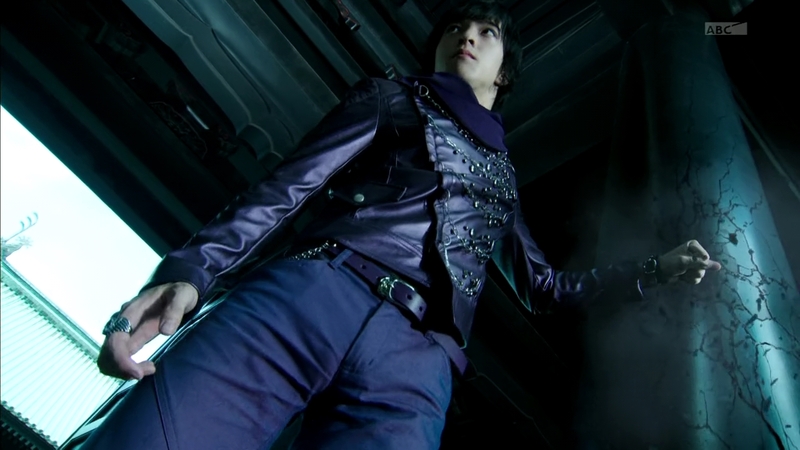 The Roidmude uses his chest camera to flash a steel beam nearby to drop onto Otta. But Hooking Wrecker Shift Car arrives to help Shinnosuke flick the steel beam away. Unfortunately, the Roidmude has escaped. Back at the Pit, Belt-san warns Shinnosuke about this Roidmude’s inexplicable ability. 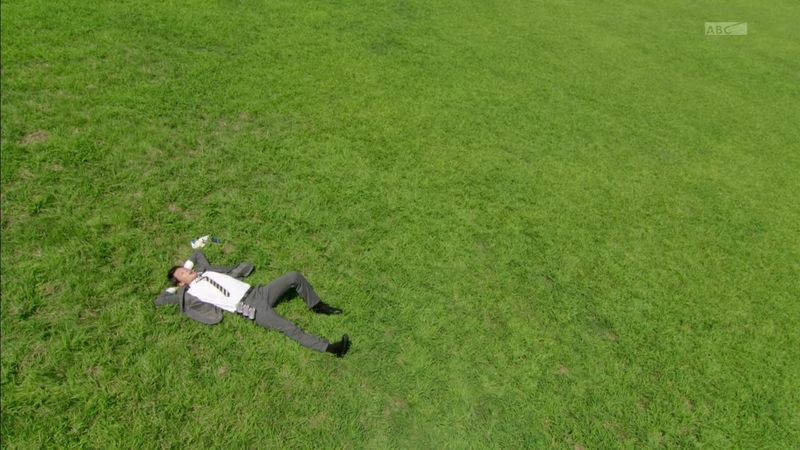 In the mean time, Burning Solar Shift Car wants to go outside, so Shinnosuke gladly accompanies it to the park to bask in the sun. That’s where Kenta appears to show Shinnosuke the paper for today which features a photo of the building just as it collapsed yesterday. It was taken by Kusaka, Kenta’s colleague who joined the paper at the same time but has quickly climbed up the ranks. That’s why Kenta wants to get scoop on the Kamen Rider to catch up to Kusaka. Kenta leaves and Kiriko quickly appears saying Shinnosuke shouldn’t encourage him and that he should stay away from the media. 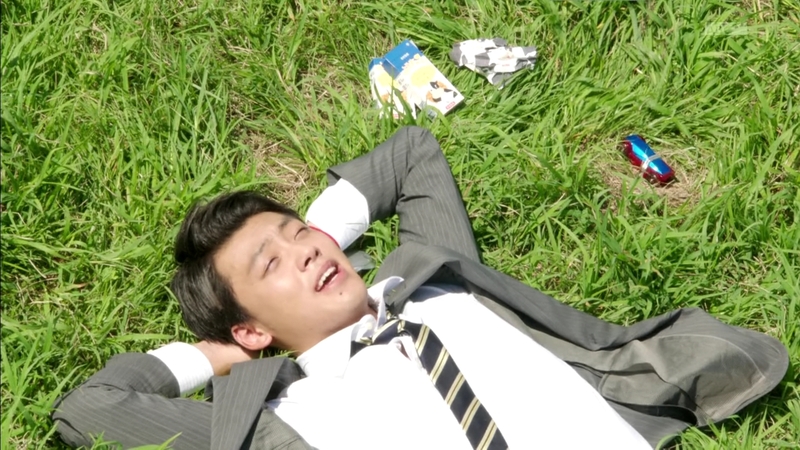 As a fellow man, I know how he feels, Shinnosuke says. She controls whatever she’s feeling and refocuses their attention to the strange photo in the paper all while Kenta creepily watches from behind the tree. Across town, Heart and Brain are discussing another one of their comrades awakening, but Brain notes that this is a very rare type of Roidmude. They wonder if their comrade has been influenced by the human he fused with. Brain is amused how the more you find out about humans, the more you find them ugly, foolish and adorable. Back at the SID, Kiriko and Shinnosuke are debating whether Kenta is the Roidmude. But Kyu’s research leads them to suspect Kusaka a lot more. All the photos he took looked to be right at the moment of collapse. They hurry over to Toto Times and find Kusaka in the parking garage. Kenta listens from behind a corner. Shinnosuke and Kiriko question him, but he is unhelpful and drives off. Kiriko sends a Shift Car after him as Kento pops out. 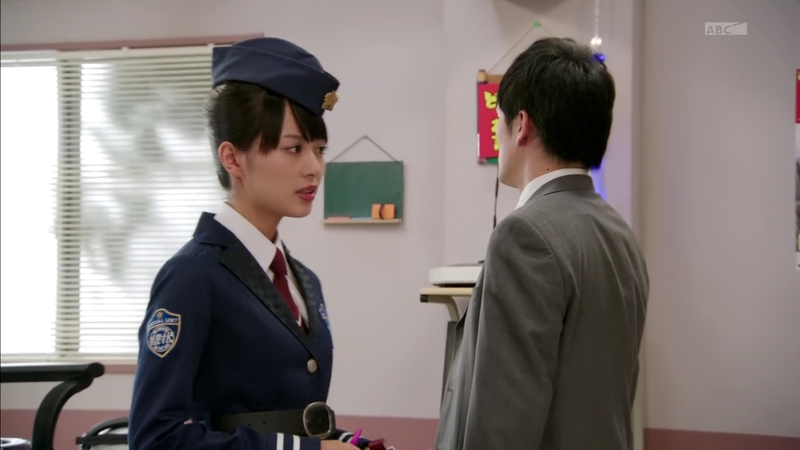 Kiriko is quick to accuse him of also being a suspect, but Shinnosuke tells her to play it cool. He decides to let him tag along as they follow Kusaka to see if they’re in cahoots once and for all. Kririko drives them to the location the Shift Car has followed Kusaka to. This can’t be the next target, Kento says. He brings them to meet Yoshida Hiroyuki, a security guard in the building and former mentor at the paper. He retired from the paper after taking the fall for Kenta and Kusaka’s rejected expose on Kaishima City Construction. 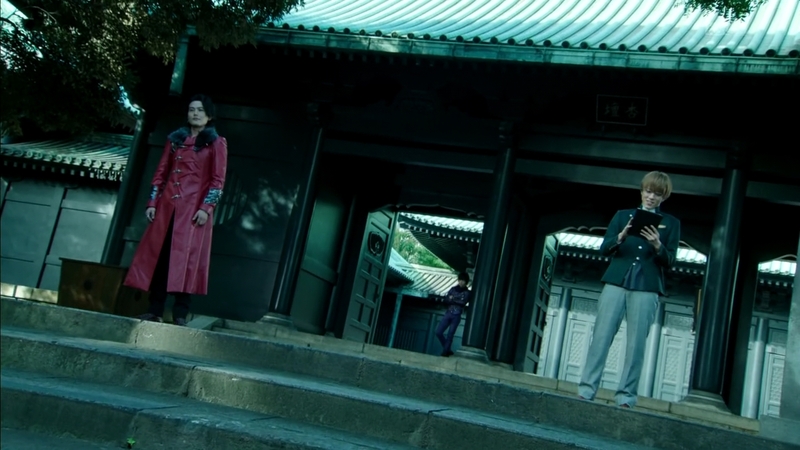 So there’s no way Kusaka would attack this building with Yoshida-san here. That’s when Shinnosuke puts everything together and shifts into top gear. Kenta knew the truth all along. But before he can continue, the Heaviness arrives. Belt-san tells Shinnosuke that the perp is on the roof of the neighboring building. They hurry over and see it is indeed Kusaka. But he is not the Roidmude. Brain explains that humans have no use after the Roidmude has copied their forms and memories. But there are also times when a Roidmude cannot evolve because the chosen human’s desire is too weak. Heart realizes 033 didn’t dispose of the human, Kusaka, but fueled his desire instead. 033 initiates his power using a picture he takes to cause whatever he touches and erase to crumble in real life. Reinforcements arrive and Kiriko uses Burning Solar to send a burning blast toward 033. Shinnosuke henshins, but Chase suddenly arrives. 033 takes Kusaka and runs as Chase transforms and uses Chaser Spider. 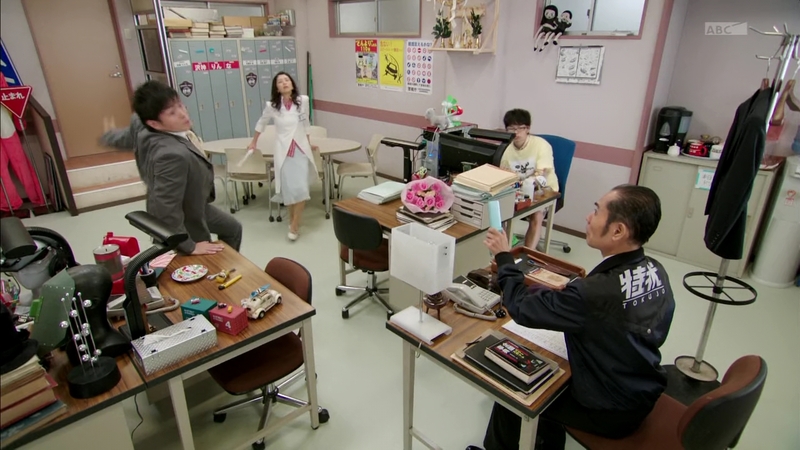 Chase tosses Shinnosuke around and hurls him toward Kiriko’s feet. He uses Chaser Cobra for more attacks. 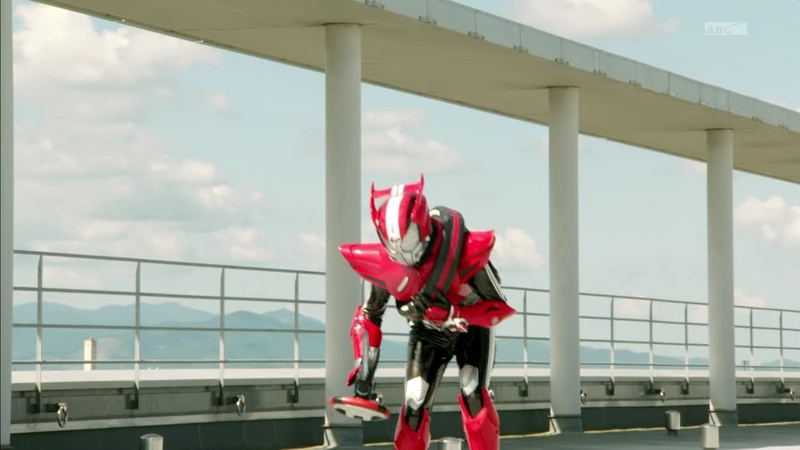 And before Shinnosuke can shift into Type Wild, Chase knocks the Shift Car away. 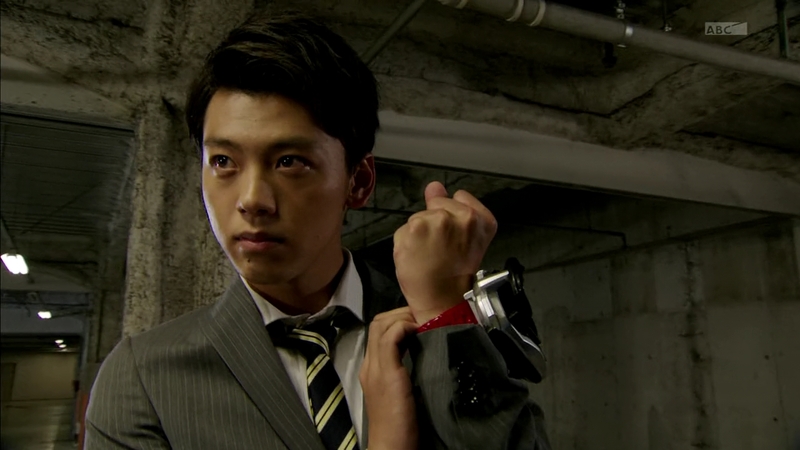 Belt-san says this is not good and just then, Chase knocks them away, forcing Shinnosuke to de-henshin. 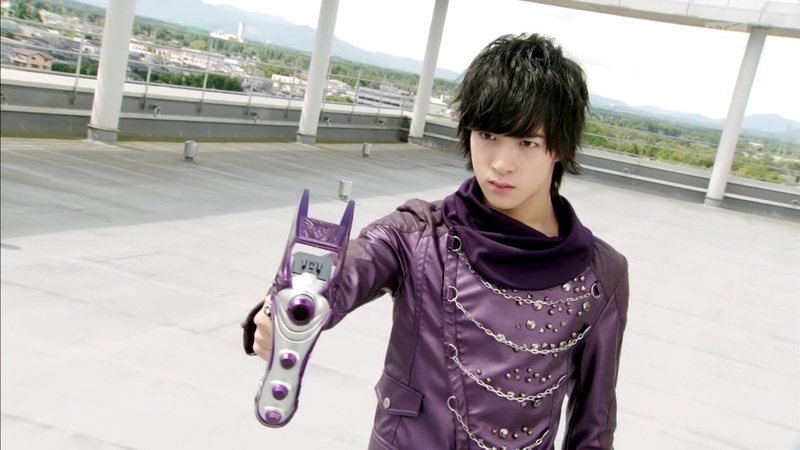 Chase uses Chaser Bat, ready for a final strike, but Kiriko steps in between him and Shinnosuke. Kiriko refuses to move, but Chase will not back down. OMG. Here we go. So what’s up with Kiriko and what’s up with Mr. Chase? Oh boy. Very exciting. The case of the week was okay, but I’m definitely more interested in our main characters’ developments from this ep. Excited about the next episode. 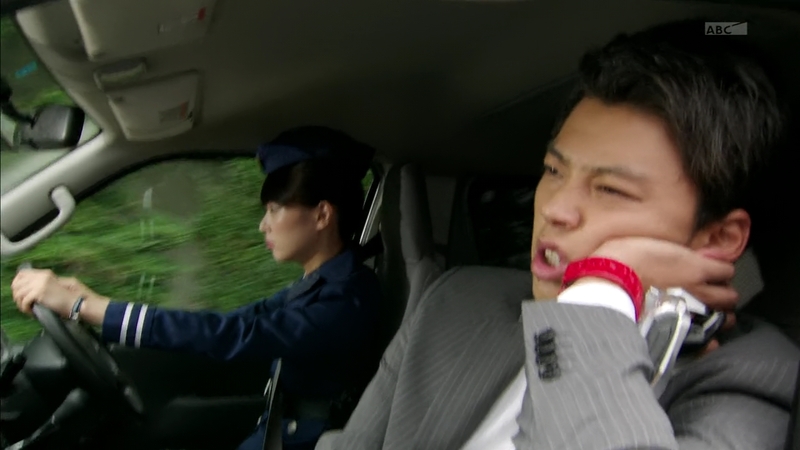 After the awesome emotional roller coaster of Gaim, I am definitely appreciating Drive‘s different gags and quirks. Very fun stuff.